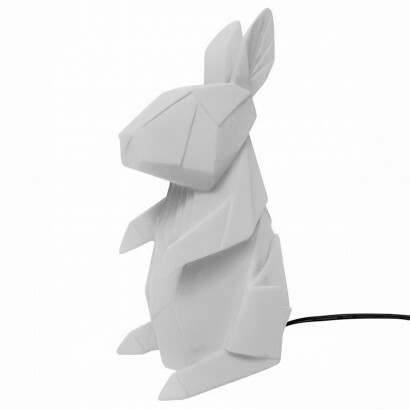 Origami never looked so sweet as these adorable woodland animal lamps. 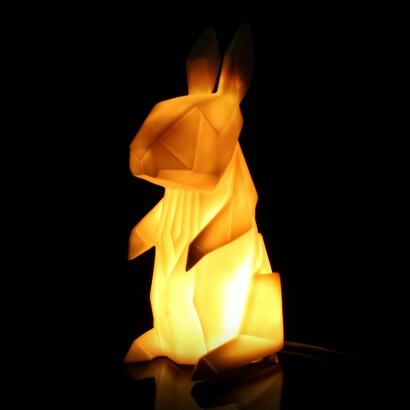 A sweet rabbit sits alert alert crafted to replicate traditional origami with distinctive angular shapes that are softened by the LED light inside. Perfect for kids rooms, this quirky lamps emit a warm, atmospheric glow that's ideal as a night light adding subtle charm and personality wherever it sits.